Leonard is buried at Fulwood (Christ Church) churchyard in Sheffield. An announcement in the ‘Deaths’ column of a local newspaper states that he died of pneumonia at Purfleet Military Hospital. I will search for his service file when I next visit the National Archives but in the meantime can anyone shed light on his unit, its location and how he was wounded? Leonard Hoyland was in No. 41 Kite Balloon Section. This was stationed at Heudecourt. Jasta 11, which was Manfred von Richthofen's squadron, had just been issued with Fokker Triplanes. One of the Jasta 11 pilots was Leutnant Werner Steinhauser. He was born in Konigsberg on 29th June 1893. Steinhauser had just been posted from FA261, where in August he and his observer had claimed one victory - a balloon, shot down on 20 August 1917. He then undertook scout (single seater plane) training and was newly arrived at Ja 11. On the 13th January 1918, Steinhauser and another Jasta 11 pilot, Leutnant Eberhard Stapenhorst, flew their Triplanes to meet up at an appointed height with the biplanes of Jasta 20. They headed south west past Cambrai and over the lines to the British 5th Brigade area where, from his wicker basket position, Lt Hoyland and his crew member (in their balloon) had an unrestricted view of the German ground positions. The German planes attacked the British balloon from a high altitude, in an effort to thwart British anti-aircraft fire. But the British gunners had spotted them and fired at the swoopign German fighters. The two Triplanes and one Albatross (Lt Hermann Stutz) plunged through the intense machine gun fire and attacked the balloon of No. 41 KBS. Within minutes the gas bag was set on fire and the crew went overboard, parachuting to safety (the other observer is not named). Ground fire, however, hit Stapenhurst's Triplane and the 22 yr old ex cavalryman was forced to land and was taken PoW. The Triplane landed intact and gave the British their first look at a complete Fokker DR1. It was assigned the captured identification number G 125. Stutz claimed the balloon, shot down at 16.37 hours, but the victory was awarded to Steinhauser (formerly with the Field Artillery). Steinhauser's plane could be identified by a red cowling and large red band around the fuselage, forward of the cross, with a yellow 'X' on it (which was repeated on top of the fuselage). This plane had red wheel covers and yellow 'eyes' on the cowling. I have a list of Steinhausers other victories if you need them. Sources: Royal Flying Corps Communiques (1917-18); The Red Baron Combat Wing; Above The Lines. To aid your search at the National archives, 41 KBS was attached to 15th Balloon Company, which was at the time was part of the No.5 Balloon Wing. No, John. What's interesting is that you appear to know a source that shows which KBS section was attached to which balloon section and in which wing. Pray tell where I can locate the same info; pretty please (with sugar on). I collected medals to Balloon officers when the came available (not very often). But now the prices of anything above a pair are starting to get out of my reach. Anyway, I gathered a fair bit of info on Balloon officers and units when I was able to visit the PRO (not so often now), but my record organisation leaves a bit to be desired !!!. Probably the most useful info I have where this is all in one place are photocopies of the 'order of battle' for the RFC/RAF for France from Jan 1915-Nov 1918. This lists both squadrons and Balloon units. I have info on the Balloon units outside of France, but this is 'all over the shop'. I have no idea if this info is in printed form (but I did not acquire them from the PRO), but would be happy to provide info on the contents (or possibly copies). I am researching G.F. Knight, 12 Squadron, who was shot down on 9/11/16, does any of the info you have show where the squadron was stationed at that time. Thanks for the responses re Leonard Hoyland, I found them very interesting. I am new to the forum and have so far been most impressed with the quality of replies to requests for information. Unfortunately the 'order of battle' does not go into that level of detail, it mainly details which units are attached to which wing/brigade etc at a given time. For 12 squadron at the end of 1916, it just states attached to 12th wing (along with 8 and 13 squadrons). The wing was part of the 3rd brigade attached to the 3rd Army. A seperate book I have states the squadron was based at Avesnes-le-Comte from 3.16 (to the left of Arras). Hopefully someone more knowlegable in this area may be able to help. I have the rest, but I don't think you'll need them. 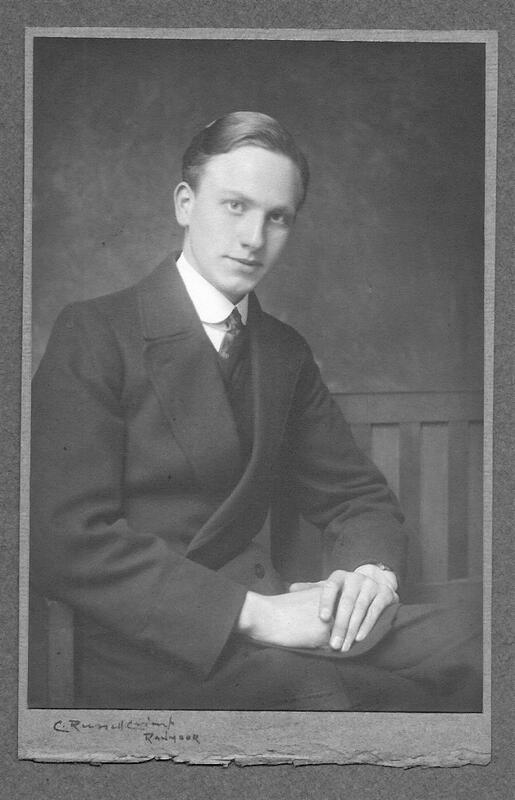 I am trying to gather some more information about my Great Uncle Lt Leonard Barlow Hoyland of the Royal Flying Corps. There had been a topic about him a few years ago which I only recently found, but believe the thread is no longer accessible? I know he was in a balloon regiment and shot down in 1917, was hospitalised for many months and sadly after insisting on joining the victory celebrations almost a year later, contracted pneumonia and died. If anybody has more information I would be very grateful. Yes. Thank you both for your help. Photograph of Leonard Barlow Hoyland RFC (RAF) 1916? 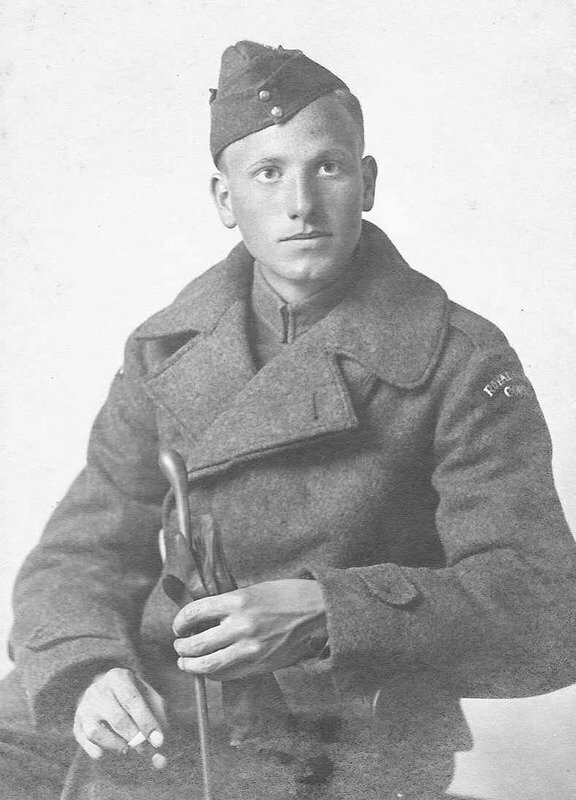 Photograph of Leonard Barlow Hoyland 1916? Fantastic picture. Thanks for posting. Looking through my BE file, I find a GF Knight on 5 Sqn as well, but as observer - same man??? 2043	Engine 22049/WD820. 13 Sqn Gosport. 14 Sqn Gosport. 23 Sqn Gosport dd ex 14 Sqn 23.11. 1915. 5 Sqn Droglandt, damaged by AA after combat with Fokker 4.1.1916 (Lt McConnochie/Lt C Porri OK), overshot landing after art obs 26.5.1916 (2Lt EH Johnston/ 2Lt GF Knight) and to be repaired on unit. 2502 Presentation a/c Gwalior No 3. 12 Sqn Avesnes-le-Comte dd ex 2 AD Candas 1.7.1916 as a/c C and LIA on bombing mission near Vrancourt 9.11.1916 (Lt GF Knight POW shot down by Ltn H Immelman, J.2). so Hoyland was shot at as he parachuted down? I'm pulling together biographies of men named in Fulwood Churchyard, Sheffield, of which Leonard Hoyland is one.